Add elegance into all of your gift giving this year with our Ivory Gift Boxes. When you want a classy look, these boxes are certainly for you. Perfect for wedding gifts, baby showers, and anniversaries, the ivory color will bring a sense of beauty into everything it covers. Each box comes in a sturdy cardstock material so that you won't have to worry about your heavier, valuable items falling out. Easy to fold and even easier to wrap, our ivory boxes will guarantee a smile on your recipient's face. 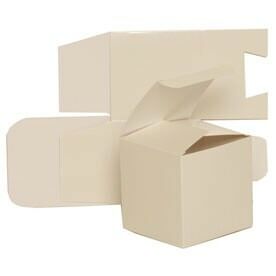 Our 2 x 2 x 2 Ivory Glossy Gift Boxes are perfect for cute party favor packaging. The glossy finish will make your gift shine, without the need of any wrapping paper! All you need to do is tie a colored bow around the box and your gift is good to give. 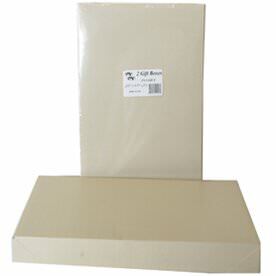 Our 3 1/2 x 3 1/2 x 3 1/2 Ivory Glossy Gift Boxes are a little bigger so you can add even more goodies inside! Both choices can be flattened. This feature makes them perfect to store in your pantry closet when not in use. All you need to do is fold the box together to make a beautiful package! The open lid makes it easy to open too. 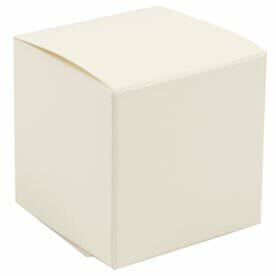 Our 15 x 9 1/2 x 2 Ivory Gift Box is perfect to put clothes in for the Christmas season! The big size, flat style, and two piece set makes for easy packaging. So go elegant and go ivory for every gift you send!